Facsimile Edition published by Editions Schlechter. 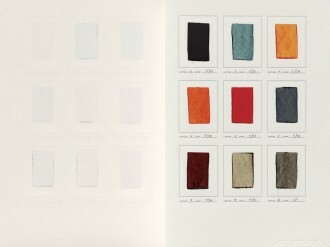 New York: Editions Schlechter, 2013. 128 pages, 9.75 x 14.625 inches. Out of print since 2010, Æthelwold Etc is now available in meticulous facsimile from Editions Schlechter, comprising the complete standard edition of the original as well as the diary of ink colors that accompanied the deluxe edition. Photographed at an insanely high resolution by 42-Line in Oakland, California, every line, impression, and paper fiber of the original edition is reproduced with remarkable clarity. 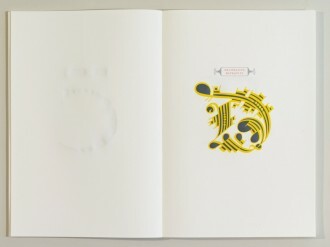 750 copies have been printed, of which 55 are signed, numbered, and accompanied by an original letter from the edition. 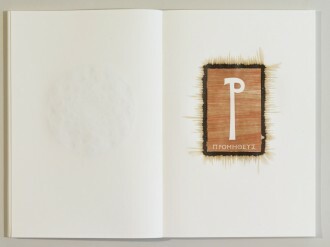 The twenty-six letters of Æthelwold Etc were designed to explore the relationships between alphabetical form and literary content, the limits of a letter form’s individuality within the context of the alphabetical community, and the tensions between typographic assumptions, personal history, and creative desire. Theses various themes are further explored in the second half of the book, a section of notes in which any poetry related to a letter’s design is also included. The printing of the letters was conceived in the spirit of chromatic maximalism, requiring as many as nine colors to realize a single letter form and 105 different ink colors for all twenty-six. In his review of the book, Paul F. Gehl, the Keeper of the Newberry Library’s Wing Foundation on the History of Printing, said, “Russell Maret’s ambitious new book is several things: an alphabet book, a commonplace book, an artist’s book, and a tour-de-force of color letterpress printing…. In a world where anyone can draw a new face and dozens appear every year, remarkably few of them really show anything fresh or even thoughtful. Fewer still challenge our comfortable assumptions about size, fit, and spacing. 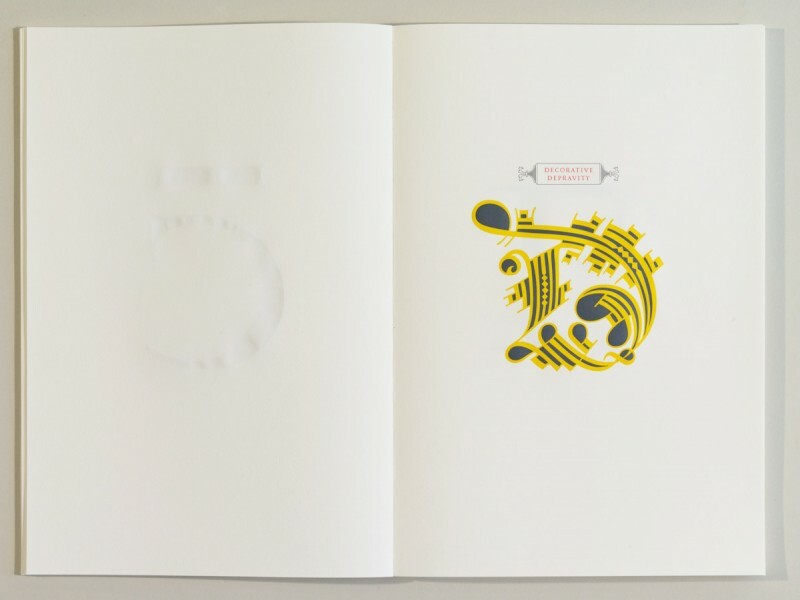 If you are up for an elegant, delicate violation of your typographic expectations, have a serious look at Æthelwold Etc.” Winner of a Judges Choice Award at the 2009 UK Fine Press Book Fair.